The 8th Asian Film Awards took place last night in Macau. With 11 nominations ‘The Grandmaster’ was the big winner as it won 7 awards: Best Film, Best Director, Best Actress, Best Costume Design, Best Art Direction, Best Original Score and Best Cinematography. Zhang Ziyi won her 8th Best Actress Award for portraying Gong Er in the film, whilst Tony Leung lost out to Indian actor Irrfan Khan in the Best Actor category. 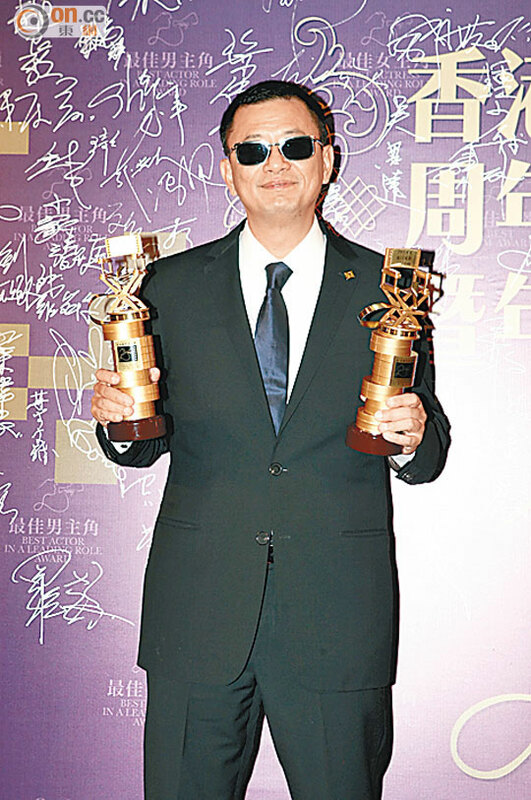 Wong Kar-wai won Best Director and Best Film, and when he accepted the awards he was somewhat emotional. He said, “This award very regrettably cannot be shared with one of our stunt coordinators. He (Ju Kun) was a passenger on the missing Malaysia Airline flight. I hope Malaysia authorities would do its best to give us an understanding of the progress and the truth with more transparency.” He also sent his deepest condolences to the family of the passengers’ families. After the event Wong Kar-wai said that he hoped to help Ju Kun’s family through a family lawyer. 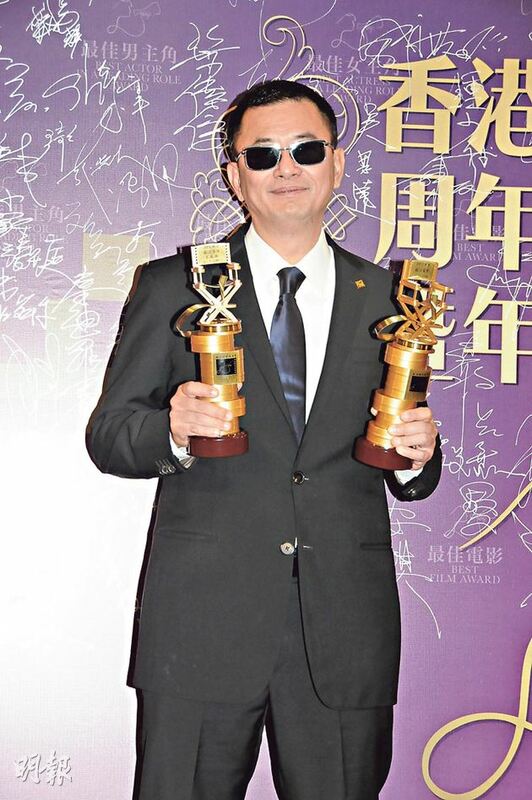 As for Tony Leung again losing in the Best Actor category, Wong Kar-wai said that without the two Grandmasters Leung and Chang Chen, the film’s brilliance would not have been the same. At the Hong Kong Film Directors’ Guild 25th anniversary party and award presentation, ‘The Grandmaster‘ won 4 awards, including Best Picture, Best Director for Wong Kar-wai, Best Actor for Tony Leung and Best Actress for Zhang Ziyi. It was Tony Leung’s first award for the film. When Zhang Ziyi accepted the Best Actress award she said, “I don’t make many Hong Kong films. Since 2046 I started working with Wong Kar-wai, I feel that my performance and my English have improved. Only my Cantonese has deteriorated. Thus I hope to be able to work with different Hong Kong directors like Derek Yee.” She again won Best Actress for playing Gong Er, but was she confident that she would win again at the Hong Kong Film Award? Zhang Ziyi, “Let it take its natural course, actors can only control their performance on the set. Box office, word of mouth and awards are bonuses.” She regretted that ‘The Grandmaster’ did not win at the Oscars. Director Wong Kar-wai said that the awards represented countless words. He even admired Zhang Ziyi for being able to have different acceptance speeches for the numerous times she won awards for her role, but he only had “Thank you everyone”. Yesterday, the nominations for the 86th Oscars were announced. 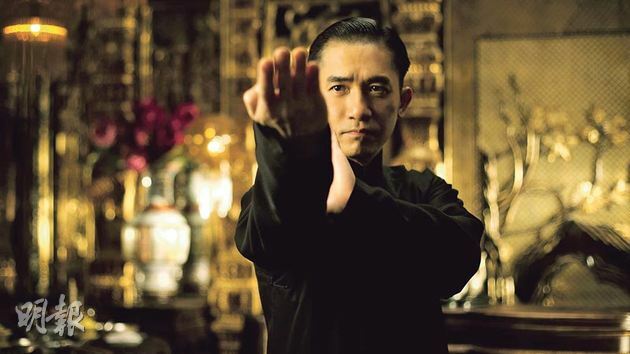 ‘The Grandmaster‘, which is directed by Wong Kar-wai and starring Tony Leung Chiu-wai and Zhang Ziyi, did not receive a Best Foreign Film nomination but was still nominated for Best Cinematography and Best Costume Design. William Chang Suk-ping is nominated for the Best Costume Design award, whilst French photographer Philippe Le Sourd is nominated for Best Cinematography. A spokesperson for The Grandmaster’s distributor Jet Tone congratulated the two nominees, saying “They represent Hong Kong and are the glory of the Hong Kong film industry”. The Ang Lee directed Crouching Tiger, Hidden Dragon not only won the 73rd Oscar Best Foreign Film but also brought Hong Kong film professionals Tim Yip and Peter Pau the Best Art Director and the Best Cinematography Oscars. Years later, cinematographer Philippe Le Sourd is nominated for an Oscar after winning the Golden Horse Award and at the Asian Pacific Film Festival. He will compete against his counterparts from Gravity, Prisoners, Nebraska and Inside Llewyn Davis. The 86th Academy Awards will take place late on Sunday March 2 2014, at the Dolby Theatre. 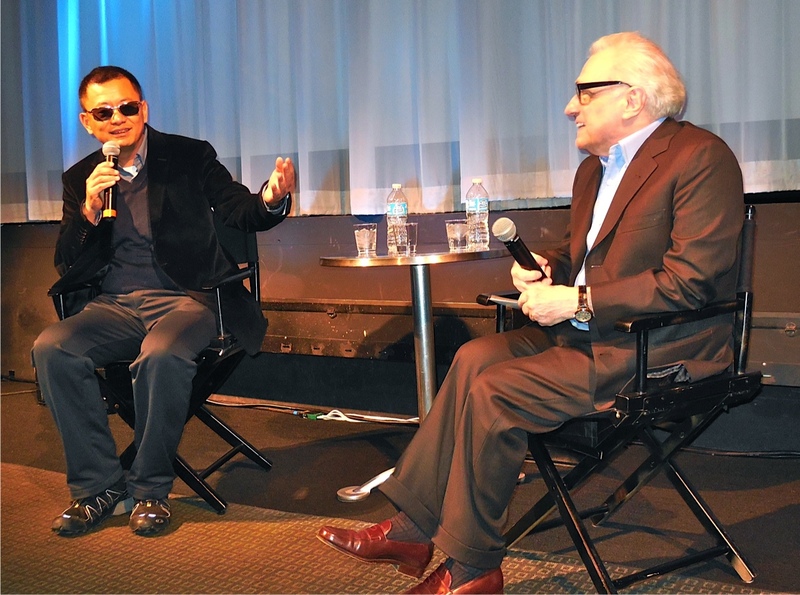 Last week at the Lighthouse International Theater in New York City, Martin Scorsese took a break from promoting “The Wolf of Wall Street” to help present a screening of “The Grandmaster” and to interview its director, Wong Kar-wai. The 50th Golden Horse Awards took place at the National Dr. Sun Yat-sen Memorial Hall in Taiwan on the 23rd November. Zhang Ziyi‘s performance in The Grandmaster won her her first Golden Horse Best Actress. With 11 nominations The Grandmaster was the big winner with five awards. Alhough director Wong Kar-wai lost both Best Director and Best Feature Film to Stray Dogs and Ilo Ilo, The Grandmaster was deeply popular with the audience as it won the viewers’ choice award. The three Best Actor favourites, Hong Kong representatives The Grandmaster‘s Tony Leung Chiu-wai, Unbeatable‘s Nick Cheung and Cold War‘s Tony Leung Ka-fai, lost to Stray Dog‘s Lee Kang-Sheng. Leung stood up and shook hands with the newcomer; however, when the event arranged for past Best Actors and Best Actresses for a group photo, he was pouting and looked unhappy. Singapore film Ilo Ilo won four awards, including Best Feature Film, Best New Director, Best Supporting Actress and Best Original Screenplay. Its performance was second only to The Grandmaster. 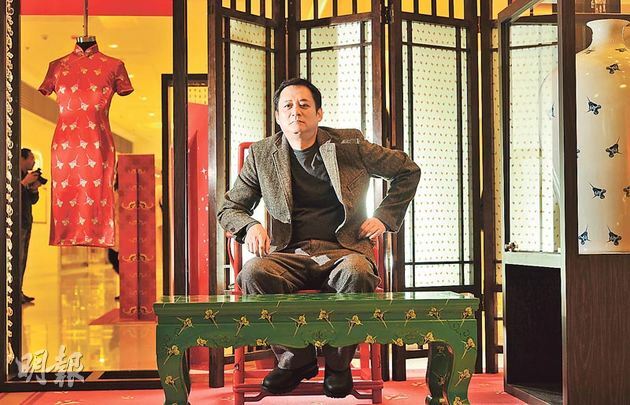 The Federation of Motion Film Producers of Hong Kong Ltd has picked Wong Kar-wai‘s ‘The Grandmaster‘ as Hong Kong’s representative at the Oscars in the Best Foreign Film category. The China co-production was chosen over two other finalists: Herman Yau‘s ‘Ip Man: The Final Fight‘ and Dante Lam‘s ‘Unbeatable‘. Due to The Grandmaster‘s North American box office takings of US$ 6.3 million and its selection as one of the Telegraph’s 2013 Top Ten Best Films, its chances to receive to be shortlisted in the Oscar’s Best Foreign Film category are even higher. Many Hong Kong films applied for the honour. The box office hit ‘Unbeatable’ was fierce competition with ‘The Grandmaster’ but in the end Wong Kar-wai’s film came out ahead. The spokesperson of the movie’s producer said the production crew are exciting about the news. “It’s our honor to have it selected to represent Hong Kong in the Oscars,” said the spokesperson, “We are thankful to the recognition by the selection committee in Hong Kong, and we do hope ‘The Grandmaster’ can shine in the top notch international venue.” Actors Tony Leung and Zhang Ziyi were happy for Wong Kar-wai when they received the good news in Qingdao and they hope to be able to walk the Oscar red carpet again. The 2014 Oscars will be presented on March 2 in Los Angeles. A comic book tie-in to the upcoming film The Grandmaster, which was made available as a convention exclusive at San Diego Comic Con International last month, has been released online as a free download. 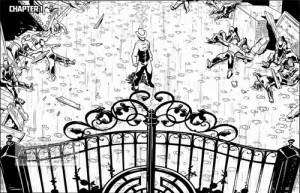 The Weinstein Company have teamed up with former Marvel and IDW editor Andy Schmidt, along with artists Chris Evenhuis, PH Marcondes, Keison, and Chee and VICE, to create a really cool web comic based on the film. You can check out the comic, released in conjunction with promotion for Wong Kar Wai’s new film, here. The Grandmaster opens in NY, LA and Toronto on August 23rd, and nationwide on 800 screens on August 30th. Acclaimed martial arts film ‘The Grandmaster’ held its New York City premiere on August 13. The film’s stars Tony Leung and Zhang Ziyi attended the event along with director Wong Kar-wai. The film’s success at various international film festivals this year generated buzz ahead of its American release, attracting the attention of many Hollywood veterans, including Susan Sarandon and Samuel L. Jackson, who have nothing but praise for the film and spent much time socializing with its stars. Sarandon even traded phone numbers with Leung at the after party, asking him to stay in touch. The premiere took place at the Regal E-Walk Stadium. Aside from Hollywood stars, well-known fashion designers Vivienne Tam, Anna Sui, and Jason Wu were also present. Wu took several photos with Zhang Ziyi, the two having collaborated earlier when Wu dressed Zhang for this year’s Met Gala. Tony Leung and Zhang Ziyi mingled with guests at the event, the two spent time chatting with Susan Sarandon and Samuel L. Jackson. Jackson shared that he is a fan of Wong Kar-wai and had put aside time so he can attend the premiere. Sarandon had a great time talking with Leung, and invited him to chat more over a drink. At the after party, Sarandon praised Leung’s talents, saying that the effort the cast has put into the film is apparent. She later traded contact information with him, wanting to stay in touch. The Grandmaster received great word of mouth and box office takings in Asia and caught just as much attention in the U.S. Wong Kar-wai edited the film anew so it would be easier for foreigners to comprehend. At the press conference Tony Leung revealed that the most memorable moment was working for 40 consecutive nights. He said that in the end he only had bronchitis and was lucky not to have pneumonia. Zhang Ziyi appeared on Good Morning America for a live interview. She even admitted that a live program appearance required courage, luckily she was able to withstand the test. Zhang Ziyi’s English ability was made fun of before, thus she worked hard to learn English. Now she is able to fluently respond on a live program, she truly is a new and improved “International Zhang”. New York is only the first stop among many as the team prepares for the film’s American release on August 23. 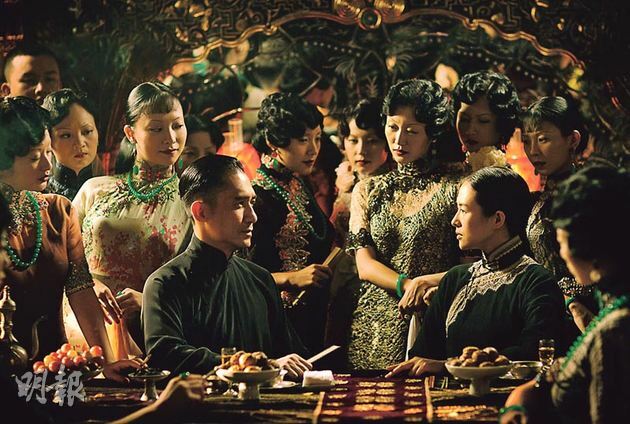 Wong Kar-wai, Tony Leung, and Zhang Ziyi will continue to make appearances to support their acclaimed epic, with advanced screenings planned in Toronto, Chicago, Los Angeles, and San Francisco. Martin Scorsese is lending his support to the upcoming Weinstein Company release of ‘The Grandmaster‘, the film directed by Wong Kar-wai. Scorsese will lend his name in presentation of the kung fu film, and above the line it will read Martin Scorsese Presents The Grandmaster when TWC releases the film theatrically in New York, Los Angeles and Toronto on August 23 and nationwide on August 30. Wong has directed such films as Chungking Express, 2046 and My Blueberry Nights, and The Grandmaster stars Tony Leung, Ziyi Zhang, and Chang Chen and is executive produced by Annapurna Pictures’ Megan Ellison. The film opened the Berlin Film Festival earlier this year. “Wong Kar Wai has turned martial arts into a modern dance,” Scorsese said. The poster at the head of this post was designed by Vania Zouravliov and will be released by Mondo.